Zoombak is the latest GPS locator for pets, kids or, perhaps errant wives – and it's being backed by TV dog trainer Victoria Stilwell. Any press release which contains a nugget of information quite as brilliantly obvious as 'if your dog can jump over your fence, make your fence bigger' deserves covering, and so we have. In all seriousness the trauma of a missing dog is more than enough to make us think that a tracker is a good idea and this one does offer real time tracking. Stalkers (of their dogs, obviously) can check in real time the location of their pet on the internet, via text message or a freephone helpline. 1) If your dog is a fence-jumper, make it harder for him/her to escape by heightening the boundaries. It sounds simple, but it is amazing how many people refuse to do this! There are many ways to heighten a fence without it costing the earth or looking unattractive. Begin your training by setting your dog up for success and not for failure! 2) Ensure you provide enough physical and mental stimulation for your dog throughout the day so he/she doesn't associate 'home' with 'boredom'. Hide food around the garden so your dog revels in the hunt. When your dog is proficient at this game, put him/her on a long-lead and play the same games while out on a walk. He/she will now be more concerned about playing than leaving you for dust. Remember a tired dog is a happy dog that will have less desire to escape. 3) Your dog's safety is paramount, as you need to protect what really matters. Around 100,000 missing pets were found on the streets in 2007 (Dogs Trust UK) so always remember that even the most obedient dog will respond more to his/her instinct than its owner. To make sure that your dog doesn't become another 'missing' statistic, get him/her kitted out with a Zoombak Locator. Not only will this give you piece of mind, it could also save your dog's life! 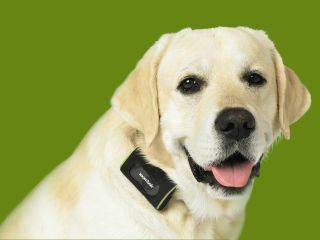 The device is available from www.zoombak.co.uk or Pets At Home stores nationwide.